Lettuce has been around for many centuries – it was consumed by the Persian Kings as long ago as 550BC- and has really grown in popularity over the last couple of decades. 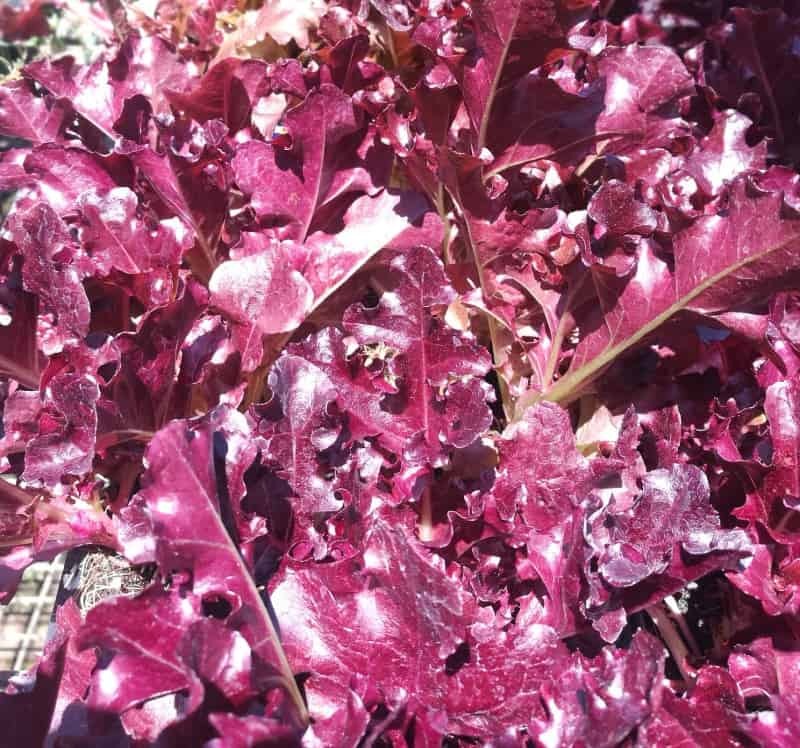 No more just a limp-leafed garnish to your meal, lettuce is now available in a large selection of leaf colours and shapes and, together with other leafy greens, forms the backbone of the most mouthwatering salads. Iceberg or Crisp head lettuce – the one we all grew up with, characterized by very crispy leaves and firm, tight heads. Examples are ‘Great Lakes’ and ‘Commander’. Butter lettuce – these have soft, almost waxy leaves with strong, crispy ribs. The heads are not as tightly packed as the above, e.g. ‘Butterhead’. Cos or Romaine lettuce – the outer leaves of Cos are quite coarse, covering the softer inner leaves. It forms a loose, long head with narrow leaves. 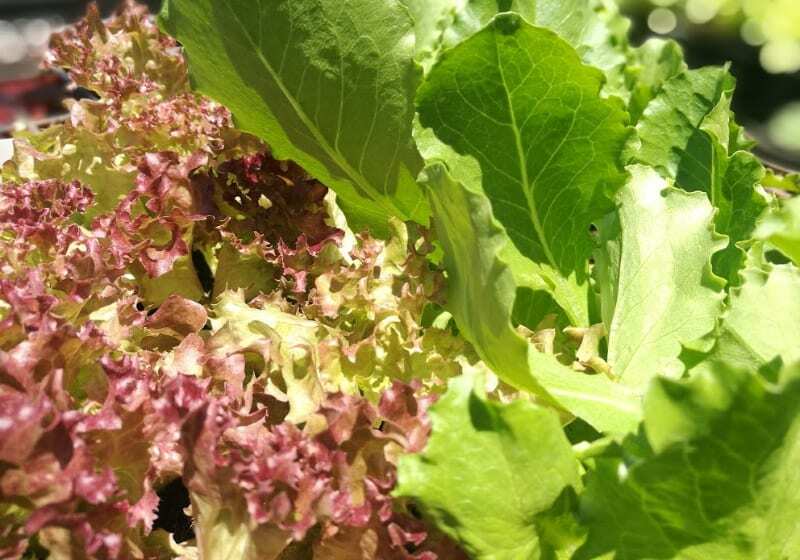 Loose-leaf lettuce – these pick-as-you-grow lettuces are characterized by the fact that they produce really tender leaves in dense rosettes, but do not form heads. Seeds are either available in packets of mixed varieties or individual varieties, e.g. ‘Lollo Rosa’,’ Lollo Biondo’ or ‘Oak leaf’ to name but a few. Loose-leaf lettuces are generally more heat resistant. You don’t have to limit yourself to planting one kind of lettuce – pick and choose all your favourites and group them together in a pretty design in your vegetable beds, boxes, borders, baskets and pots. There’s really nothing stopping you from growing your own fresh lettuce just about anywhere right through the year. Lettuce seeds can either be sown in trays or directly into the garden bed. Alternatively a wide variety of lettuces is available as ready-to-plant seedlings on the seedling tables and in the herb section at Lifestyle Home Garden. We have compiled a comprehensive Seed Sowing Guide to help you in all your seed sowing endeavours. Here you will find all the information you need to correctly sow your chosen lettuce seeds. The best time to start sowing and planting lettuce is during the cooler seasons of early spring and early autumn when the soil temperature is lower. If you want to start your season off early, sow a batch about 3 weeks before the last frost of winter. Be sure to keep these seedling trays indoors on a sunny windowsill or in a greenhouse until all danger of frost has passed. Seeds will start germinating within 7-10 days and seedlings should be ready for planting after 3 weeks when the first four true leaves have appeared. Gradually expose seedlings to the sun over 3-4 days before planting them in beds or pots. From here onwards sow and plant smaller quantities regularly at 3 week intervals to ensure a continued crop. Summer: Semi-shade, under 30-40% shadecloth or in the shade of other, taller crops. A layer of mulch will also help to keep the soil cool. Winter: Lettuce will tolerate light frost. If you live in an area with heavy frost, a nice way to keep a crop going is to sow seeds in a shallow tray and keep it on a sunny windowsill. Snip the baby leaves for salads and sandwiches as needed. Sow a new batch every couple of weeks. Lettuce prefers loamy, well-draining soil, rich in organic matter. Before planting your seedlings, dig a generous layer of compost and some bonemeal or vermicast into the soil. If you are growing your lettuce in pots, use a good quality potting soil to which you have added a handful of bonemeal or vermicast. Seedlings can be planted fairly close together (15 – 20cm spacing) with the spacing between rows at about 30cm. If you have sown your seeds in situ, thin seedlings out to the above spacing. Don’t discard the ones you remove, but use them as baby lettuce in salad. They’re really yummy and tender! Water very well after planting. Lettuces are very shallow rooted and need to be kept moist, so water well 2-3 times per week if planted in beds and more often if they are planted in containers. It is important that the soil doesn’t dry out completely. Fertilise loose-leaf lettuces and lettuces in containers fortnightly with an organic, water-soluble fertiliser with a high nitrogen content. The slower-growing varieties should be fertilised once a month. Lettuces that form heads are ready for picking when the hearts of the plant feel firm. Gently pull up the whole plant and discard the roots. This is best done in the morning when it’s cool. Refrigerate until used. Regularly pick the outer leaves of loose-leaf lettuces as you need it and the rest of it will keep growing, providing you with a constant supply. Use immediately. To learn more about our range of delicious colourful salad bowls, click |HERE|. They really do provide a variety of zingy punchy flavours which will complement your lettuce crop perfectly. Slugs and snails – put out commercial, organic snail bait or traps. Slugs and snails also love one of our other favourites, beer! Half fill a tin or plastic tub with a pint you don’t mind sharing and ‘plant’ the container level with the soil surface. Snails will be attracted to the beer and fall in. Cutworm – a sure sign of cutworm are seedlings or young plants that have been ‘cut’ at soil level. Cutworms are fat, greyish-brown worms that curl up when exposed. Protect your young seedlings by either putting out an organic cutworm bait or making a cutworm ‘collar’ around the plant. 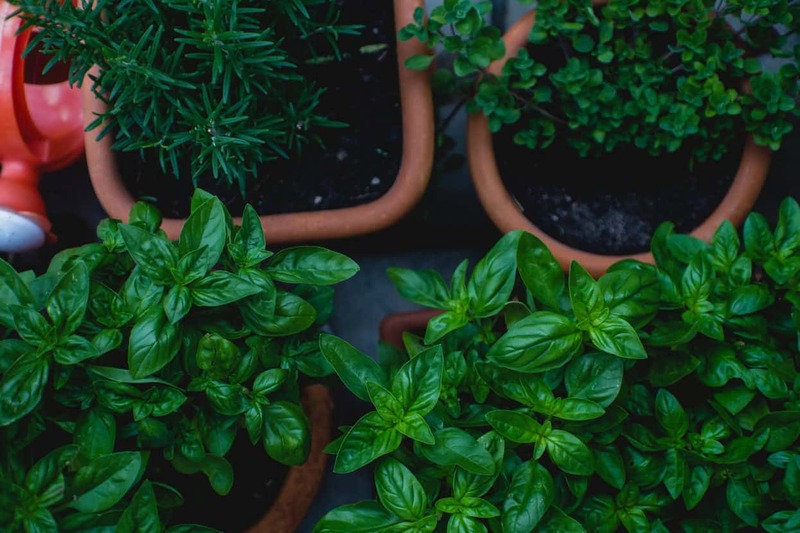 Insert toilet rolls, rolled up foil or newspaper or tins and yoghurt containers with the bottoms cut off, about 4cm into the soil to surround the young plant. Remove when plants are strong and established. Aphids – check regularly for these little pests, especially on new growth and treat with an organic insecticide. Plant lettuce near or amongst beans, beetroot, sweetcorn, rocket, cabbages, carrots, radishes, onions, chives, dill, fennel and yarrow. Lettuce will not thrive near parsley, celery and parsnips. For an extended read on companion planting, click |HERE| for our post on Potager Gardening, which goes into this topic in great detail. When your mom told you that salad is good for you, she had a point! Lettuce is very high in Calcium and is also a good source of B vitamins, as well as vitamin C, beta carotene and silicone. It has a calming and soothing effect and in the olden days it was boiled in milk to calm colic and restlessness in babies! What is an Urban Greenie?